Let’s start with some facts. As of January 2018, one billion voice searches were carried out monthly, certainly, the number has increased. According to Google, out of the voice searches carried out daily, 41% are from adults while 55% are from teenagers. Lastly, ComScore predicted that by 2020, which is only a year away, 50% of all searches will be done by voice. What is voice search? Voice search basically is a query done by speaking to an internet-enabled device, mostly mobile phones, but surprisingly some people use their desktop computers, to ask for information. 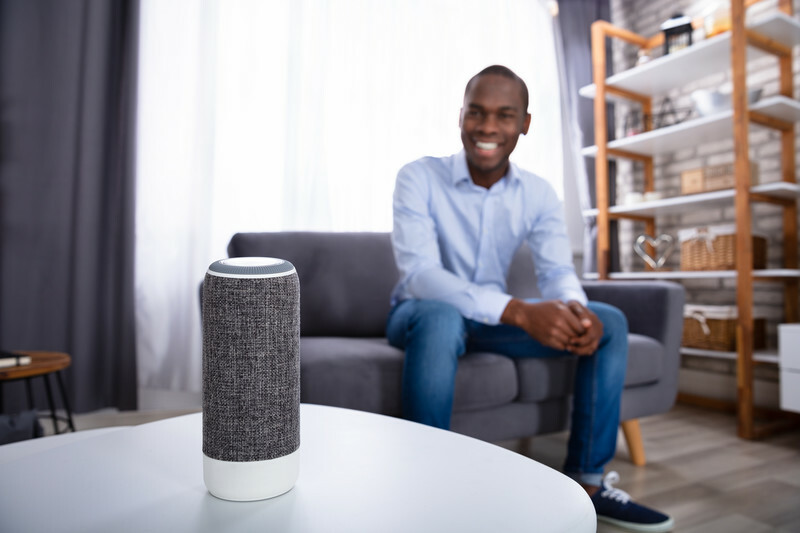 With the rise of personal assistants (AI) like Google Assistant, Cortana, Alexa, and Siri, a lot of people are encouraged to talk to their mobile phones, desktops, and smart home devices like Amazon Echo instead of typing queries in search engines. Why do people do voice search? Well, besides the convenience, it is 3.7x faster than having to type a question or keyword in search engines. For voice search SEO, the aim is not to be on search engines’ first page, it is to be the number one page on search engines’ first page. These few tips will teach you how to do voice search SEO. Write your web or blog content in a conversational tone. People tend to use a robotic computer style when typing, e.g. ”voice search SEO”, but they loosen up when they use their devices for voice searches. The queries also tend to be longer, more personal and precise, e.g. ”how can I optimize my website for voice search”. Google is up to date with this trend, I mean, Google owns Google Assistant, so they have to give their users the best search experience. Google’s Hummingbird was updated in 2013 to understand natural language. As a result, Google looks for the most precise answer, although websites with high domain authority are more favored. When it comes to voice searches, questions rule; ”what”, ”how”, ”who”, ”where”, and ”when”, so keep this in mind when writing your web content. Voice searches are usually long, can be as long as 10 words. That means that the keywords that are effective for voice search SEO fall in the long-tail keywords. Write your keywords like questions, you can use Answer the public to find possible conversational questions keywords. Generally, an SEO best practice that should be taken more seriously is writing content as though one is writing for 7th – 9th graders. For voice search SEO, it is even more important that you do this because answers to voice answers are read back to users. You can’t imagine Google or Siri reading a university-level answer that sounds like an academic thesis to a simple question like ”what should I do if my iPhone falls inside water”. Since you have to write ideas using simple words that are easy to understand, your articles will most likely be lengthy. As a matter of fact, most of the articles that rank high for voice searches are up to 2300 words. So, writing long-form content is essential for your site voice search SEO. This also makes it easy for you to use long-tail keywords. This is important, the average waiting time for voice searches is 0.54 seconds, unlike 2.10 seconds for text searches. Most people use voice search for urgent needs, and on-the-go, so they want an answer immediately. When Google’s Hummingbird go through several webpages looking for an accurate answer to a voice search query, the website that loads the fastest (after meeting all other standards) will be chosen. So, make sure your website loads fast; compress all your files to zip format, use few graphics, just make sure that your website loading speed is top notch. One of the best practices for voice search SEO is having FAQ pages that answer the common questions of your consumers/clients. The average word count of voice search answers is 29 words, therefore, with FAQ’s, you can create several short conversational answers to possible voice search questions. Now, that voice search is on the rise, most websites and blogs have started to take voice search into consideration when creating content. This is because SEO for text content is quite different from SEO practices for voice search. As a website or blog owner, you need to familiarize yourself and learn how to thrive with voice search trends. Do You Know That Guest Blogging Is A Marketing Strategy?